Mannatech deals with ‘Real Food Technological Solutions’. Much of our products are suitable for Vegans. The ingredients are plant sourced. Mannatech feels that if you take enough of the product/products long enough you will notice an improvement in your sense of well being. To that end they give a 180 day (6 month) money back guarantee on all their products. EVEN ON EMPTY CONTAINERS! 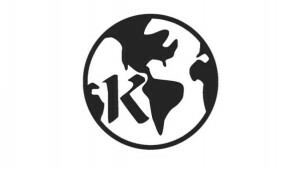 This is a national organization that randomly tests all products as to contents, purity, and manufacturing processes. All of Mannatech’s most popular products are NSF-Certified. Yes, Mannatech did pay to have this testing done. It is expensive and the organization does not do it for free. But having paid to do it does not guarantee you will get the seal on the product. That only happens if the products pass the intense scrutiny. All the products Mannatech sent to the organization have ‘passed’ and, therefore, carry this seal. This is done so you, the consumer, are reassured to the quality and content of the products. Powerful statements. While we pay to have them check our products this is not buying them off. It is to cover the cost of EarthKosher’s thorough services with their 7-step certification process. in doing the 7 steps as mentioned above. Quality and accountability — those are 2 cornerstones of Mannatech and their products. 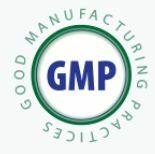 Our manufacturers follow current Good Manufacturing Practices (GMPs) designed to ensure that proper controls are maintained in the development, production, testing and post-market surveillance of our products. We also have, to date, 17 human clinical trials that have been published, 13 of which were double-blind, placebo-controlled studies — the gold standard for product validation. Instead of just talking about “quality” we go out and achieve it with every product through science, technology, and validation. This is something that is not required of supplement companies to do on their products so most do not do this. It is expensive. Where it says “Mannatech paid for the product” or words to that effect, it does not mean that the company has any influence on the outcome. When testing is done the company that is doing the testing will incur expenses so Mannatech pays the going rate for the testing and, of course, supplies the products to be tested – for free. *in North America it is 180 days. Other countries vary according to their government regulations. Ask me.